Top hedge fund industry investors, consultants and managers grabbed the spotlight at the 11th annual awards gala. 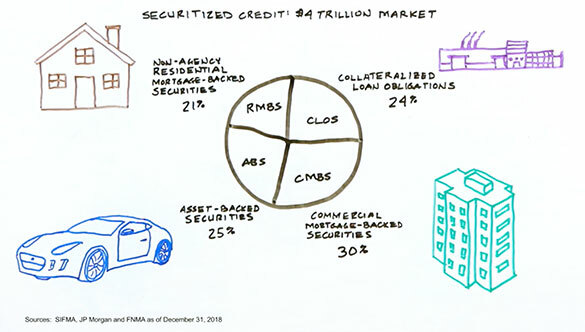 Click here for Institutional Investor's Storifty coverage of the event. 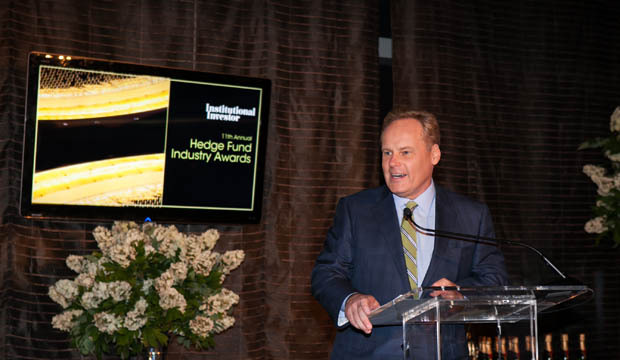 It was a hot night in New York City as Institutional Investor magazine recognized the winners of the 11th Annual Hedge Fund Industry Awards on June 27. Award recipients who gathered for the festivities at the Mandarin Oriental hotel included savvy hedge fund investors at endowments, foundations, family offices, corporate funds, public funds and sovereign funds. Hedge funds, funds of hedge funds and investment consultants that stood out for their performance innovation, achievements and contributions to the industry in the past year won in separate categories. Lifetime Achievement and Outstanding Achievement winners topped the bill. 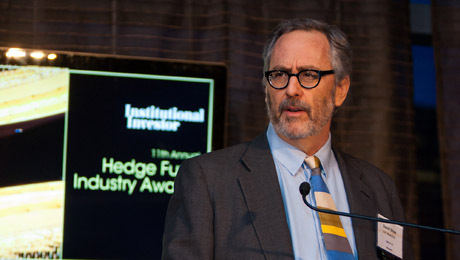 There were a total of 110 nominees in 24 hedge fund, investor and consultant categories competing for recognition. Lifetime Achievement Award: David Shaw, Founder, D.E. Shaw & Co. Outstanding Achievement Award: Bruce Zimmerman, CEO and CIO, University of Texas Investment Management Co.
Sovereign Wealth Fund of the Year: China Investment Corp.
Institutional Hedge Fund Manager of the Year: D. E. Shaw & Co.
Congratulations to all of our winners and nominees for a great year!